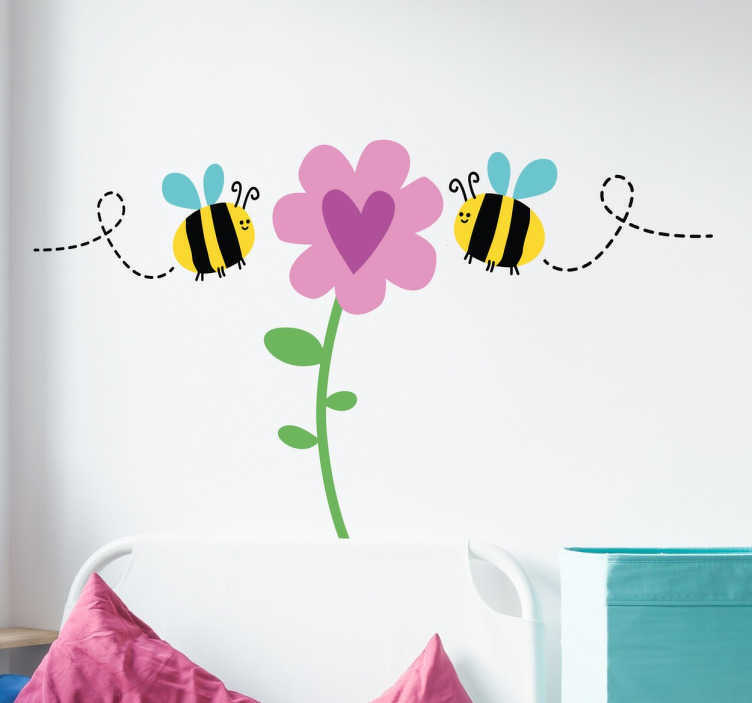 Cute wall art sticker of bees pollinating a plant with a love heart. This room is perfect for your home or kids bedroom. The insect sticker creates a nice atmosphere wherever it is placed. Our stickers are easy to apply and leave no residue upon removal. Available in various sizes and made from high quality, anti-bubble vinyl.